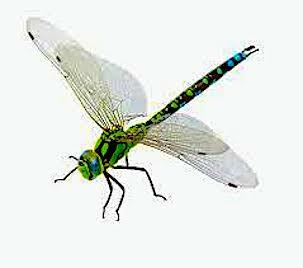 from the bodies of liquid water we see around us. it gets turned back into water. The presence of that vapour becomes especially apparent in the summer, when droplets collect on glasses of ice water and air conditioning units drip onto unsuspecting passersby. 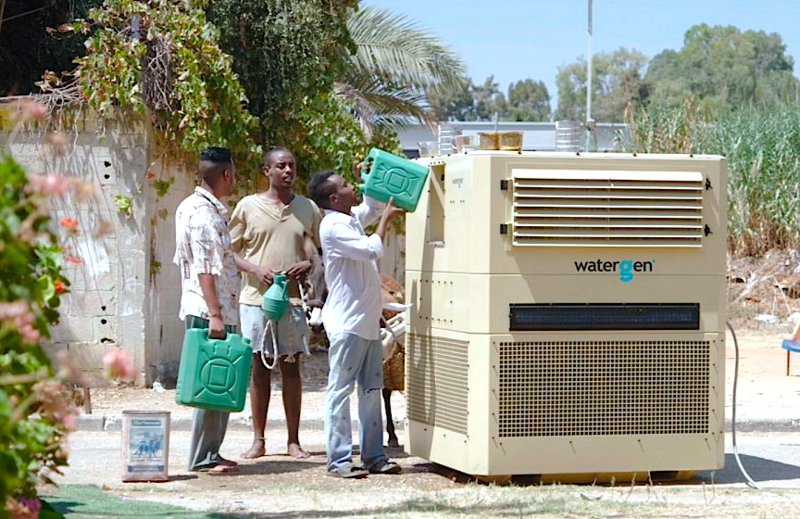 An Israeli company called Water-Gen does not think of that condensation as a byproduct; instead, it has built machines specifically designed to create and harvest as much condensation as possible. Using a system that uses a set of plastic “leaves” to funnel air in various directions, the team has developed water generators that appear to create pure drinking water out of nothing. The company currently makes three sizes of water generating machines, each of which must be plugged into a power source. At 80 degrees and 60% humidity, the biggest can yield about 825 gallons per day, but Kohavi says the technology is easily scalable. 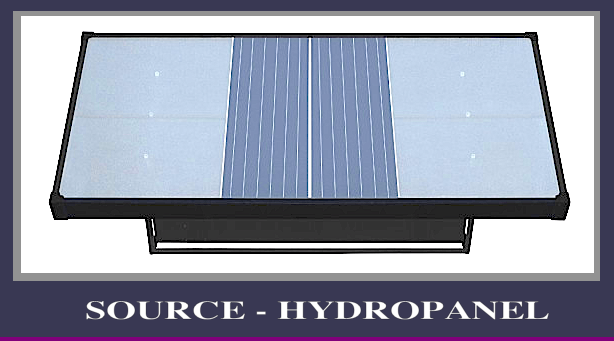 The company’s medium sized unit produces 118 gallons per day under the same conditions, and the smallest — which is intended for use in a home or office — produces just under 4 gallons per day. The Water-Gen team is looking to bring the technology to two types of places: areas that don’t have drinkable tap water, and locations that are warm and humid. “If it’s hotter or more humid, the system produces more than average, and if it’s colder and dryer it produces less,” Kohavi explains, adding that as long as temperatures are high enough, there is enough water in the air for the machines to work regardless of humidity levels. 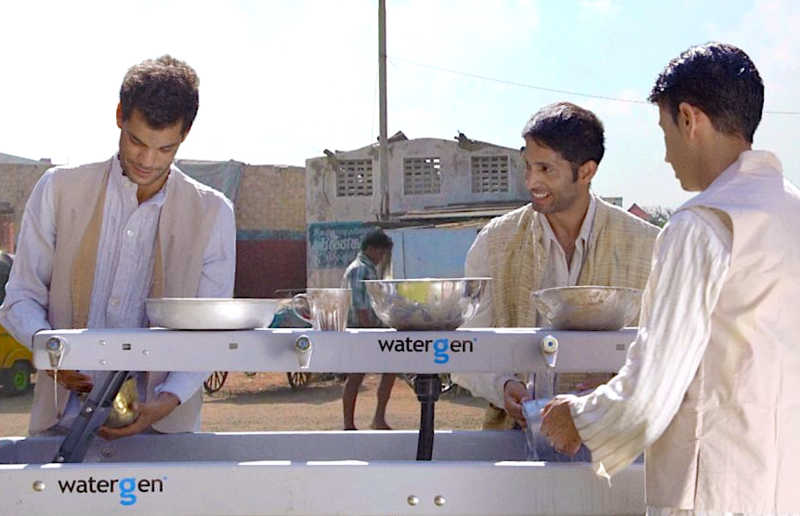 Water-Gen is currently doing field tests of its products in cities like Mumbai, Shanghai and Mexico City, as well as more rural locations. 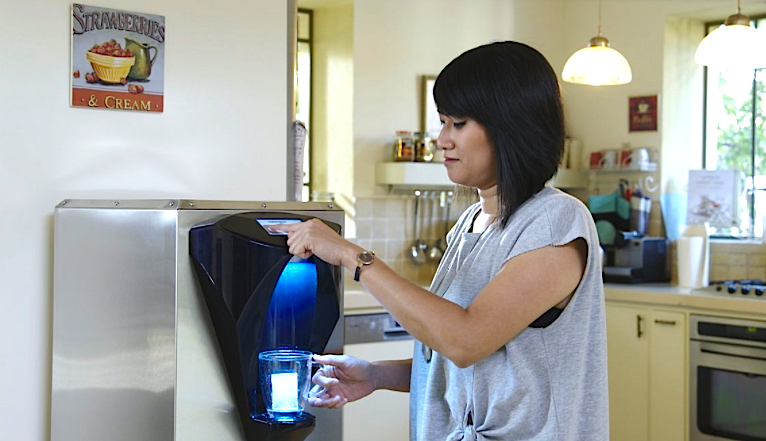 Maxim Nasik, the chairman of Water-Gen, says that because climate change and the growing world population are making the issue of accessible drinking water increasingly important, the company hopes to bring its technology directly to governments. Implementing it on a large scale would be cheaper and faster, he says, adding that the company is already in discussion with several governments. 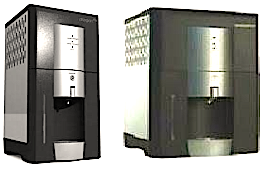 In addition to the water generation machines, the company also makes a water purifier that can be powered via batteries or solar panels, and is capable of filtering out everything from water-born parasites like Giardia to poison like cyanide, though it can’t desalinize salt water. “Water from air is for places that you don’t have any water to filter,” Kohavi says. A few years ago, Water-Gen decided to turn its attention to civilian applications of its technology. The smallest water-from-air machines were a product of that, as was dehumidifying technology that’s now used in clothing dryers sold by Siemens and Beko. But Nasik says those commercial applications are not the company’s main focus. water generator powered only by the sun. EKOCENTER is a simple concept. In fact, it’s built inside a shipping container. 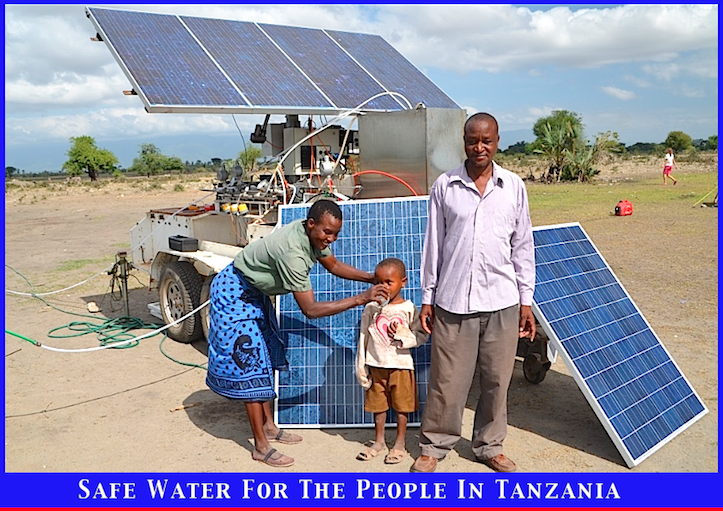 It features a solar-powered water distiller – ‘The Slingshot’ – developed by Dean that can transform dirty water from almost any source into 850 liters of pure drinking water a day. That’s enough for roughly 300 people. EKOCENTER can also provide phone charging, satellite uplink, household products, food and beverages and refrigeration for medicines. In short, it can hydrate a small community, and deliver the benefits of modern technology and consumer goods. We also like to think of it as a “startup in a box” as it will provide employment to local entrepreneurs, many of whom will be women and young workers just setting out in their careers. At the Clinton Global Initiative this week, we committed to placing 1,500 to 2,000 EKOCENTERs and Slingshot water purification systems in communities across Latin America, Africa, Asia and North America by 2015. These will complement the two pilot programs we’ve already launched in Paraguay and South Africa, where I had the privilege of opening the first EKOCENTER during my visit there.